Listen to the siren's call and find treasures for your heart, soul and home. Over 30 local, regional and American artists are featured in Copper Mermaid Art Gallery & Gifts, located in Nags Head Outer Banks. Artwork, glass treasures and handmade jewelry abound. 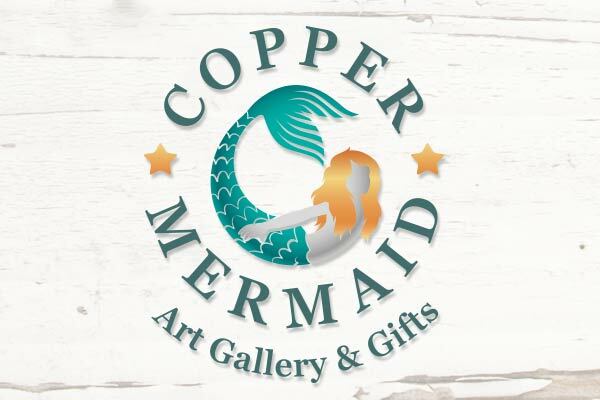 The art in Copper Mermaid appears in a diverse media, ranging from water colors to oil paintings, photography, mosaics, ceramics, textiles, jewelry, woodcuts and more. It’s easy to browse for hours and still find new sights and products to admire. Copper Mermaid Art Gallery contains the work of local, regional and national artists. The opportunity to admire the local art offers an enchanting glimpse into the way that artists perceive and interpret this beautiful environment surrounding us. The coastal theme pervades through the Nags Head gift shop as well. It features all-things-mermaid to enchant ocean lovers of all ages and styles. Those who visit the Copper Mermaid are treated to an experience of Southern hospitality too. The King Charles Cavalier Spaniel, Nutmeg, greets all who enter. Follow her to the dog-friendly porch where you can enjoy a glass of lemonade, rest your feet and watch the world pass by.